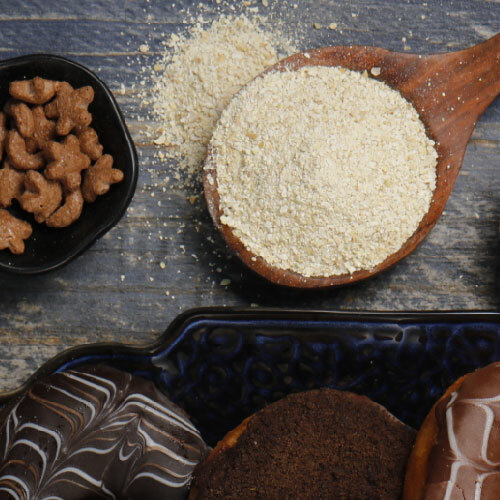 White Flakes/Defatted Soya Flakes (Untoasted) are used in the manufacture of protein concentrates, protein isolates and soya flour, Textured Soya Protein (Soya chunks/Soya granules), Cakes, Bakery Goods, Pasta, Soups, Sauces & Gravies, In fortification of cereals, Sweet Goods (Doughnut), Pasta, and specialty animal feed applications to impart functional characteristics like emulsification & stabilizing, high water absorption. Soya Defatted Flakes are manufactured by using only Non-GMO soya bean seeds. During processing, the seeds go through a grading and multiple stages of cleaning process for removal of foreign material. The graded seeds are then conditioned, cracked, de-hulled and rolled into flakes. The flakes after highly efficient oil extraction with hexane solvent are de-solventised through a Flash De-solventisation System (FDS). In the flash desolventisation system, the solvent is removed very quickly (in few seconds) from the de-oiled oilseed material and recovered for re-use without moisture addition to protecting the integrity of the proteins and other natural nutrients.